* … SWIFT: It's hard to think of things getting worse for former NBA star Robert Swift, but they have. In case you missed it Swift, who graduated from Bakersfield High and went to the NBA straight out of high school, was arrested in Seattle on charges of attempted robbery. In November, was busted on drugs and weapons charges and lost his home to foreclosure. Seattle media reported that Swift, who stands at 7 foot 1 inch, admitted he was a heroin addict. 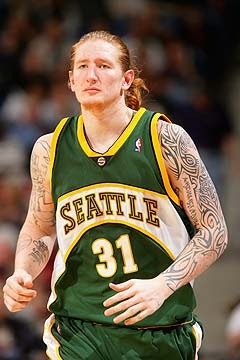 Swift played for the Seattle Super Sonics and the Oklahoma Thunder before his life went into a downward spiral. * … PYRENEES: My restaurant of the week goes to the Pyrenees Cafe, which has been smartly remodeled by new owners Julie and Rod Crawford, who also own Narducci's just a block away. 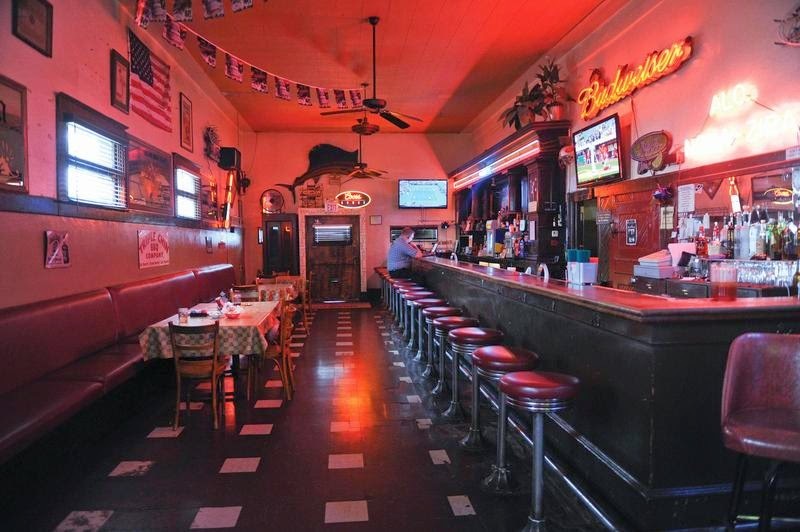 The bar has been spruced up without losing its Basque character and the dining room is adorned with some wonderful photos of Bakersfield from the 1890s, including a huge photo of a parade at the intersection of Chester Avenue and 19th Street. The food, classic Basque, is excellent. By the way, I goofed last week in saying that the new eatery Narducci's North Beach downtown was owned by the Crawfords. Different ownership. * … SPOTTED: On Twitter there was this bit of wisdom: "I’m suspicious of people who don’t like dogs, but I trust a dog when it doesn’t like a person." * … PHOTO: Gene Thome, owner of Bear Mountain Sports, spotted a yard sale sign on a local telephone pole in the Northeast and posted the picture on social media. 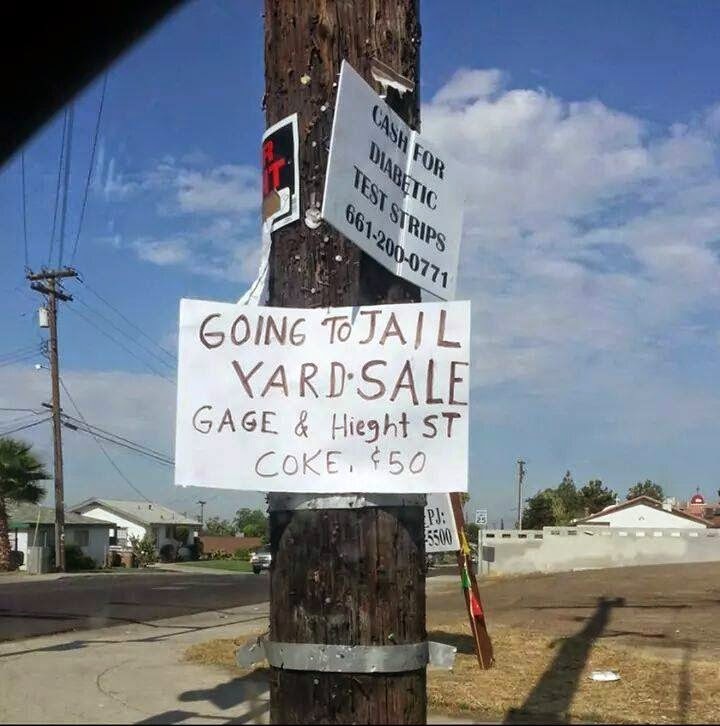 The sign read: "Going to Jail Yard Sale… Coke 50 cents." Only in Bakersfield. * … GOOD FORM: This note came from a woman who only wanted to be identified as "an impressed senior citizen." She said: "Kudos to Serena Perez for her good deed today. The Highland High School freshman walked her bike through University Park after school today until she found the owner of the parked car with its door wide open and lights on. The owner was with her children at the play structure. I'm sure Serena prevented a theft and a dead battery. Good citizenship at work!" * … SERVICE: I experienced some top flight customer service this weekend when a technician named Brian from J. Noble Binns Plumbing took care of a cranky tankless hot water heater. He was efficient and patient enough to give me a clinic in how these things work. * … BAKERSFIELDISM: You might be from Bakersfield if you "bought your first car from Wally Tucker Datsun, Bill Wright Toyota or Haberfeld Ford."